As Chinese investment around the world has soared, more and more deals are being scrapped not because of competition concerns but because of the potential national security impacts. Several countries around the world – Australia, Canada and the US to name a few – have long required separate national security reviews of major foreign investments. Now new jurisdictions, including the EU, are considering adding them. As Chinese investors have started targeting key industry – such as technology and agriculture – for investment, some in the US have also proposed strengthening the reviews to include additional requirements and reasons for prohibitions. 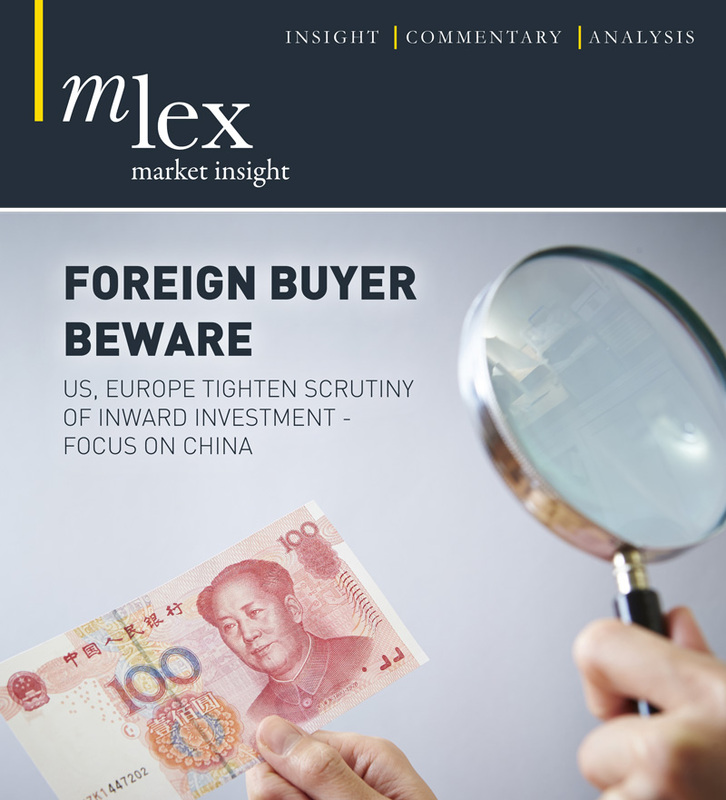 This MLex special report examines these emerging trends and where they may be headed. However, as we believe that you may also have an interest in receiving information about similar products and services in the future we may from time to time contact you about related products. You can choose not to be contacted and manage your communications from MLex in our Preference Center.